The steering really isn't that complex a system on these tractors but it could be quite a few things. 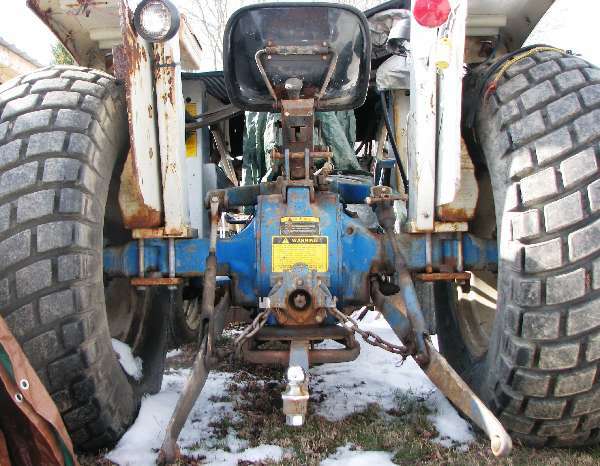 Also the tractor could have hydrostatic or power steering. Which system do you have? I'm not a 100%. From what I have read in my manual and seen from other 1981 Long 510s I am assuming it is hydrostatic pump system. It was very difficult to turn and the radius was terrible. I would have to almost stop or go slow and really forcibly turn the wheel so I can complete the turn radius. I took the wheel cover off to eliminate that. Now I am stumped. I have a Long 350 so it may be different. For my tractor, there is a reservior under the hood on the left hand side that houses the hydraulic fluid for the power steering. If you have this, check the level to see if you may be low on fluid. the 510 manual does not show that reservior. Thats why I am wondering if the pump can go bad or it may be as you said low on fluid. In which case would the low fluid slowly make the steering go out? I had to replace the starter on my tractor and had to remove some things to get it out. This was exacerbated because of the front end loader I have on it. Thre was a plate that I had to remove and it leaked some hydraulic fluid out when removed. It turned out that it was from the power steering system. The wheels would not turn until I had refilled the fluid. Funny you mention that. I had done the same thing. That starter was in a bad spot! I had bought a new one and the housing was different so it would not fit. I had to have the old one rebuilt. I bet that is the same problem I am having. Did you use power steering fluid or 305 Hydraulic fluid. Where did you fill it in? I know down by the shifter there is the hydraulic reservoir that I fill up, but perhaps I need to fill directly to the system as you did? I bet that is exactly my problem. Service manual for Long 360-460-510 series in pdf. Page 170 (172 page number)of the PDF count for Steering. Page 181 (177 page number) shows the Resevior. Agco Parts book, click on guest, search for Allis 5040 and 5050, similar but not the same as long. you can see the diagrams though. Some parts interchange. I poured it in the resevoir under the hood. I used Universal tractor hydraulic fluid from tractor supply. Awesome! Thanks bro! I bought 6 gallons of it last weekend when it was on sale from TSC. I will let you know how that works. I have the manual, thanks for the reference.